Many people choose to move to Canada because of its reputation for being a welcoming, culturally diverse country, with a respect for differences. We are seen as a safe and secure country. The 43 people, mostly men aged 20 to 46, were told what to say when they crossed the border to Canada, lived in squalid conditions, and the traffickers controlled their pay and charged fees for transportation and lodgings leaving them very little money, in some cases, less than $50 per month. People in these circumstances are fearful and usually do not go to the police or other authorities and have little or no access to information. We are fortunate, here in Canada, that there are few of these stories; nonetheless, these stories remind us how important it is to have information for newcomers and to do what we can to make is accessible. There are a number of pre-arrival services for newcomers that can help them understand what work and pay should look like in Canada. The federal government funds programs such as SOPA – Settlement Online Pre-Arrival and Pre-Arrival Services. Additionally, many libraries in BC offer information to newcomers that can be accessed before arrival and more information and help after arriving. All free of charge. One excellent resource that can answer many questions before arriving is Immigrant Questions and Answers. The Surrey Libraries offers space for the Options Community Services to come in and offer Settlement Services for Newcomers sessions quite frequently. Newcomers will have assistance in finding a place to live, finding work in their field, and learning about the myriad of services for newcomers. This service is offered in English and non-English languages. The Richmond Public Library hosts S.U.C.C.E.S.S. to offers workshops designed to help people understand how to prevent fraud. They educate newcomers on the most common digital and identity fraud tactics, how to prevent being defrauded as well as what someone should do if they become a victim of fraud. Additionally, there are workshops specifically designed to help newcomers search for work by examining the way the ‘Canadian’ way of doing things. The Richmond Public Library hosts BACKinMOTION in a ‘Targeted Resume Writing for Professional Newcomers’ session to answer questions and provide techniques to increase chances of getting an interview. According to the United Nations, most migration is linked to a search for decent work opportunities. The 43 migrants found in Ontario, were doing just this. Additionally, there are an estimated 258 million international migrants. 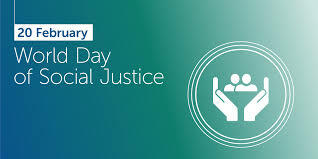 The Declaration of the World Day of Social Justice reflects the need for global approach to achieving improved and fair outcomes for all. It highlights the importance of sustainable enterprises in creating greater employment and income opportunities for all. Let’s each do our part by sharing, widely, the free and legitimate services that are available to newcomers who choose to make Canada their home. Head to our website to see the myriad of service providers and resources that are available to help. Find out what specific resources and workshops are available at your local library. If we want to continue being recognized for being welcoming, culturally diverse, with a respect for differences, we all need to do our part to ensure that social justice remains strong in our own country.